ActioNetDesk® is a managed service providing a combination of the right people, secure facilities, efficient processes, and innovative technologies. ActioNet has over 20 years of experience, lessons learned and partnerships to digitally transform and ensure access and continuous availability and consumerization of IT products and services to end-users. Whether it is hardware, software, applications, data backup, storage, communications, security or network services; ActioNetDesk® uses multi-channel contact methods, self-service, robust knowledge base, artificial intelligence, proactive monitoring, and repeatable processes to deliver these services. Experienced in tailoring our service desk solution to meet your needs, we seek a clear understanding of requirements, and provide a seamless transition of existing services that reduce risk. Our managed services are baselined on a flexible service catalog with agreed-to capabilities and SLAs underpinned by our quality management and metrics tracking ensuring delivery of what we promise. The ActioNet role for our clients is Innovator + Integrator = Your Trusted Innogrator™. ActioNet, “Your Trusted Innogrator” – Innovation, Integration and Action! ActioNetDesk® is a grounded ITIL, HDI-based standardized framework coupled with ISO 20000 and ISO 9000 quality and management best practices. Our people and systems are certified in these areas using the latest IT Service Management tools and methodologies to quickly transition, transform and perform IT service delivery. ActioNetDesk® reduces complexity and quickly and easily adapts and adjusts to emerging adoption and consumerization of new and disruptive technologies, smart devices, cloud services, and evolving internet of things through testing, training, and knowledge centered support. ActioNet provides a dedicated corporate ITSM engineering practice that resides in ActioNet’s Innovation Center (AIC) and various communities of interest (COIN) who continuously collaborate with each other, our customers, industry partners and associations. Provided on premise or managed service hosted virtually in the cloud. 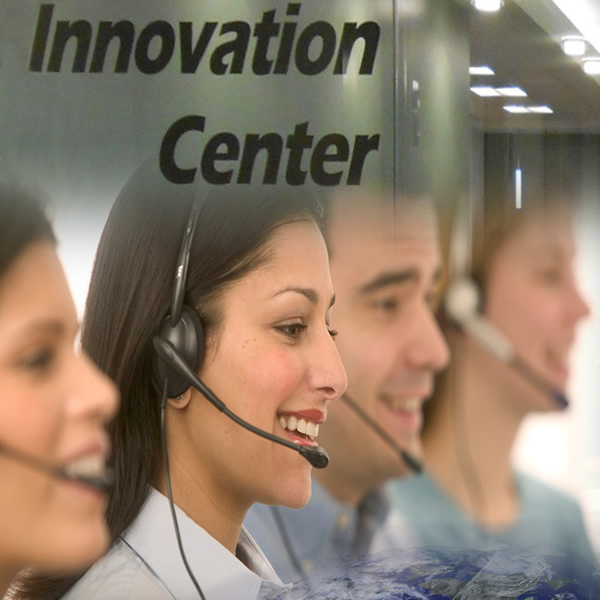 End to end contact center, desk-side, infrastructure, and hosting support. Highly available, reliable and secure solution. Highly scalable tools, technologies and processes. ITIL, HDI, and PMI certified professional and knowledgeable staff. Vendor partnerships leveraging the latest technologies, platforms and training. Integrated self-help accessible from any device. End to end incident and customer service management ensuring fulfillment and resolution. Network and security operations monitoring, critical incident and problem management. Proactive multi-channel end-user notification of service outages or proactive changes. Extensible IT change governance, configuration, and asset management. Proven performance using rigorous quality controls. Transparent performance reports and dashboards. Achieved 98% SLA adherence, 98% customer satisfaction, and 99.9% service availability.